Sometimes, chaverim, challot just don't turn out the way I envision them. In my mind, they're so tasty that I think I can actually sense the flavors. In my mind, they smell heavenly. In my mind, they're gorgeous. 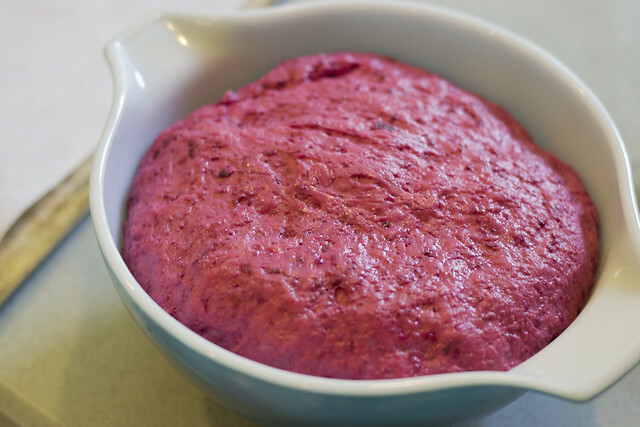 There are lots of recipes out there for beet bread. 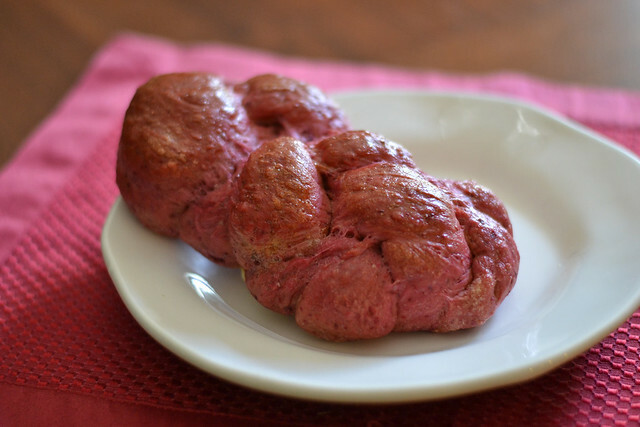 Bright, gorgeous red loaves. I wanted to try it with my own fresh garden beets, so pretty and so fresh. 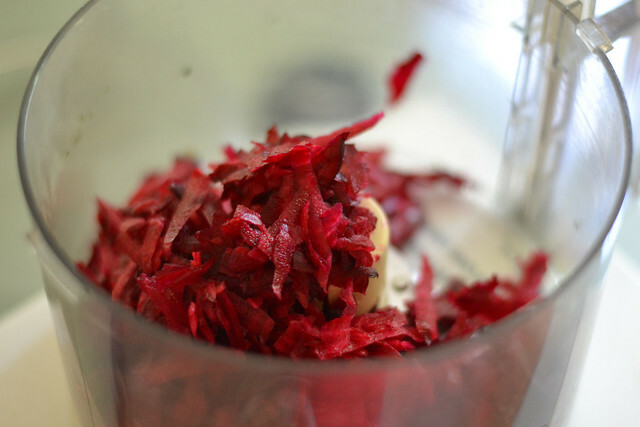 After a bit of research, I decided not to roast the beets and instead just shred them first with a box grater and then with a my food processor. Perhaps this was my first mistake. If I'd roasted them, I could have made more of a think puree. 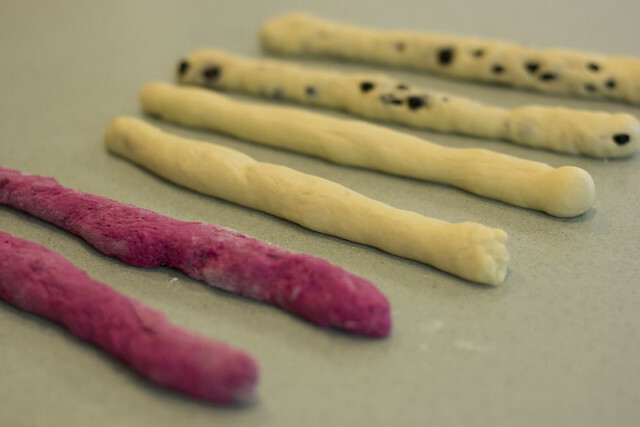 The dough was certainly lovely, if not a bit magenta-ish pink. I hoped for the best. In the meantime, I whipped up a small batch and added some wild blueberries to half. Once the doughs were ready, I laid them out, said a few more prayers that this might work and braided! 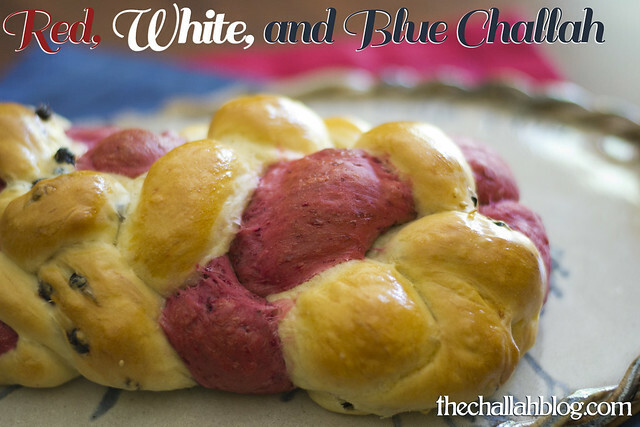 It certainly was a lovely challah and, visually, exactly like I planned. 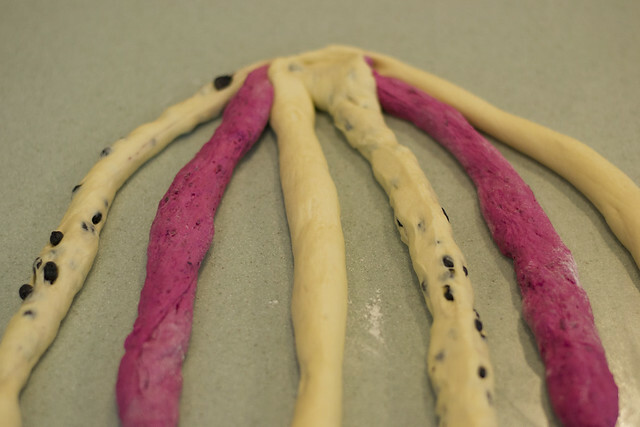 I love the idea of braiding two different doughs together. 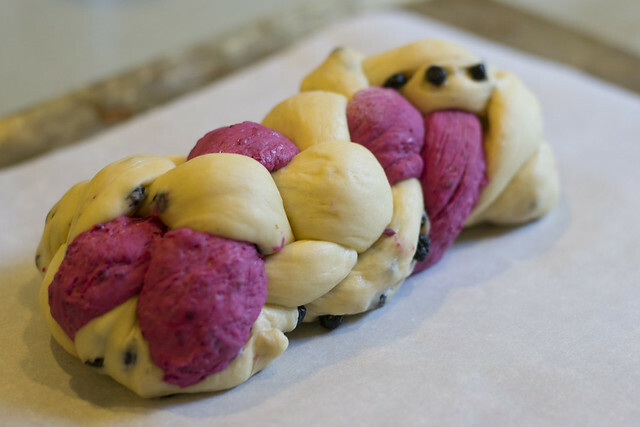 I baked it like normal, and soon the smell of challah beets filled my house. Uh oh. This wasn't what I expected. Everything I had read told me that the beets would just add color but not too much flavor. Where my garden-fresh beets just too strong? 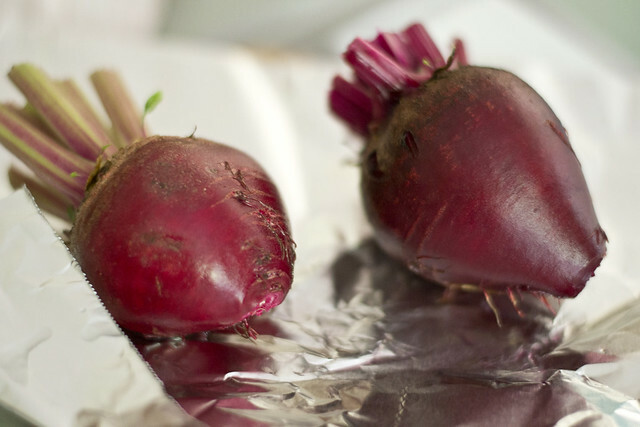 Had I wasted some precious, grown-from-seed beets on a challah disaster? I kept hoping. And out they came from the oven. 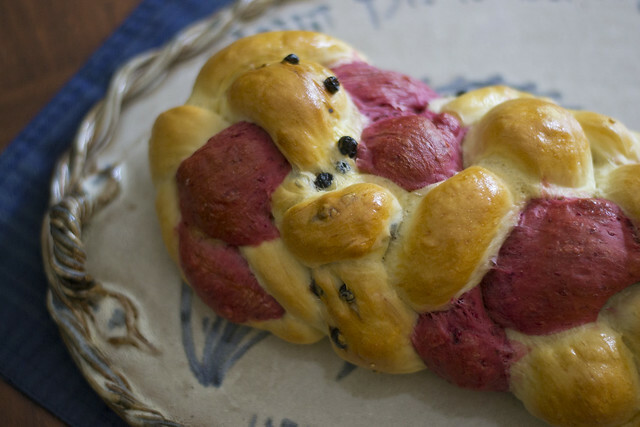 Plus a ruby red challah. 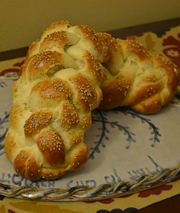 I could tell you guys that this challah is awesome. Or, I could not give you the recipe, because it's a total bummer, and I don't want you all to think that everything I make I'm totally satisfied with. I actually threw a smaller, three-strand away :( because it looked weird, and it tasted LIKE BEETS. The remnants of these challot have been saved... The Hazz hasn't tried them yet, but he wants to give them a go. I don't know. It was a firework of an idea, but a total dud in reality. 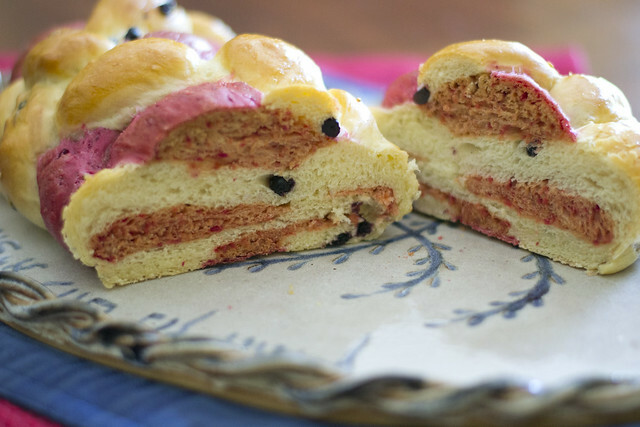 Do you ever try new challah recipes that just don't work out? Don't give up! Shabbat Shalom from our bayit to yours!